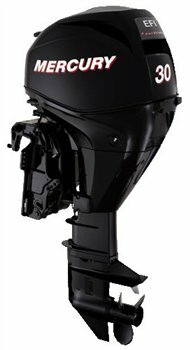 Nervous about buying an Outboard over the Internet? we may get it in shortly. E-mail us if you are looking for a particular motor! Here is Olive Oyl with her new outboard. Thanks to you she is in the water all happy. I picked up the motor at the trucking terminal Friday at 4 PM. By 9 PM I had everything hooked up, mounted the ignition on the dash etc. On Saturday I idled the motor in a barrel with 16:1 for a total of 3 hours in several sessions. On Sunday I put her in the water up at our camp. I will plan to run at no more than 1/2 throttle for a few more hours and graduate to 24:1. Thanks again for everything. It is the perfect motor for this boat. It looks and runs beautifully. I could not be any happier. Yesterday I received my 30hp Merc tiller from Canada via. AFA, and I must say I couldn't be more happy with what I have received. the motor looks about brand new, it did include the gas tank and hoses and did include the prop, and even has two quarts of factory motor oil. if this thing runs as well as it looks, you can expect more business from the SE MI area, as several of my friends are fishing guides and will be pointing them in your direction for their outboard needs. "Dear Albert, This weekend I got a chance to take all of my 1957 & 1958 Evinrude Outboard Motors out on the lake for a good test drive. Had a Blast. Plus All of the nice compliments I got from people at the Boat Launch and out on the Lake. I told them AFA Marine did the restoration. One guy said my 1958 10 hp. Sportwin was the best looking motor He's ever seen. Keep up the Good Work. I'm spreading the word about you guys. God Bless and take care". Albert, I received the 18 HP Evinrude today from motor freight. It was in perfect condition and it looks beautiful ! I bet it runs as good as it looks. It will be mounted on my 13 ft Clark Craft design fishing boat which is ready to invert and epoxy fiberglass the hull. You did an outstanding job on the restoration ; I'm sure it looks better than when it came out of the OMC factory. I can see the similarities with my 1954 25 hp Johnson. Thanks for your great service and I will send photos when I mount it on the boat. I just wanted to drop you a note saying that I received my motor last week (order #135). It was received & inspected to find that it was in great shape! The owners manual & a tool kit were in the box, just as you said. I must admit that when I first thought about ordering a motor on-line, I was a bit apprehensive! I trusted you & your ad to be as good as expected, you know that in today's world, you sometimes have second thoughts about ordering products "sight-un-seen"! I was extremely surprised when I opened the box, the motor was indeed "like new" condition. I checked the oil, ran the motor a few minutes, checked it again, everything was fine. So, we hitched -up the boat & headed to the lake to try it out! 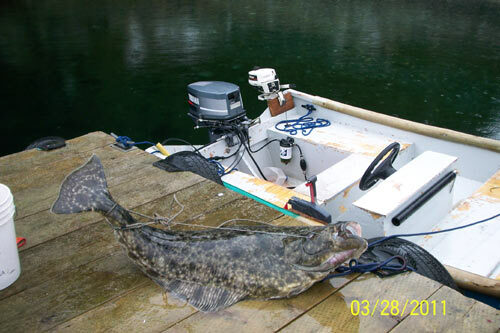 It on a 14 ft johnboat, and it performs well! That was the first that I had heard a 4 cycle in operation, it's so quiet! I wanted to thank you for reinforcing my beliefs that you can still trust a man at his word. I will be spreading the news of your business to all my friends here in PA. I just wanted to thank you for the 15 hp Mercury "Fish Camp" Outboard I purchased from you. I ordered the motor 3/2/2009 and recieved it on 3/9/2009. It was exactly the way you described the motor to be. I mounted the motor on my Lowe 1448M and pushed the boat 20.5 MPH with 2 grown men and a dog ! I'm am very pleased and relieved that everything went so smoothly with a internet purchase !!! I also wanted to thank you for the responses to my emails and phone calls ! Hi! I recieved the engine today in perfect condition. It was immediately tested on my boat and all I can say is that it is a great outboard. Perfect for trolling, stealthy, quiet and very poweful. I am really impressed with it. Thank you! Got the AFA Marine fishing camp motor yesterday and checked it out, while the delivery man was still here, and found it to be in pristine condition for a 2007, it looked brand new, it was the 9.9 hp /4-stroke mercury. I put it on my little 14ft. v bottom metal boat, and tried it out on our lake. What an outstanding little motor. I have never used one that ever started any eaiser, or that quiet, or so comfortable to use. I bass fished using just this little merc all afternoon, and never once having to use my minnkota trolling at all. Actually using the little merc, was easier than using the trolling motor. Hey Albert, I just wanted to let you know how happy I am with the new 50 horsepower Mercury I bought from you a few months back. I finally got it on my boat and I could not be happier. Thanks for working with me on the trades and doing everything you said you would do to make the sale work out perfectly. I have recommended you to everyone that I know and you will definetly be the first call I make whenever I buy another outboard. Thanks again and it was a pleasure doing business with you. 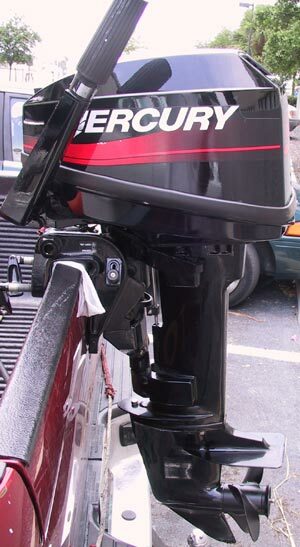 2008 50 hp Mercury 2 Stroke Outboard. Just want to let you know, I am enjoying my boat with my new motor. The motor runs excellent! I will recommend all my friends that are looking for a motor to you. The Sea King was out today for a test run and passed with flying colors. It purrs right along, has good power and idles well too. It was no doubt the best looking motor on the lake. I'm very pleased with it . Thank you very much. It is certainly as you described! I found out that is was manufactured by Gale, formerly of Outboard Marine Corporation with many parts interchangable with Johnson/Evinrude, and is a 1962 model. Again, thanks for you prompt service and shipping and for a great motor. We are delighted with our early 60's Mercury 50 hp.? It runs like a top and was delivered promptly, in perfect condition as advertised.? I recommend your company to anyone seeking a reasonably priced small outboard motor. I just wanted to send you a message to thank you for the prompt delivery of the 1999, 9.9 HP outboard I ordered from you. The motor arrived just as you promised. It was in good condition upon arrival. I had it set up on my boat within several days, pulled the starter cord and it fired up as promised. It runs really well and performs as strongly as you said. I am very pleased with all aspects of the transaction. Thank you again. Just a quick note to thank you for the great deal and superb motor. 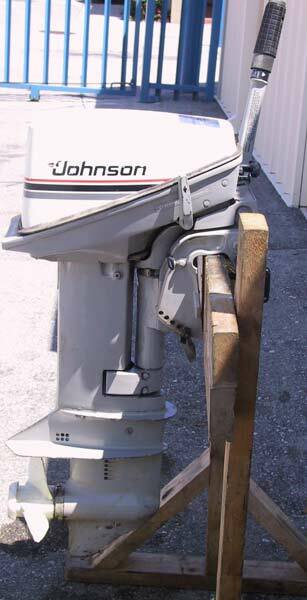 My Pump Jet Johnson/Evinrude is the talk of the dive club. Everybody loves the idea that if we have to, we can safely go get a diver who has driffed, and do so without the danger of operating an exposed prop with someone in the water. The unit is easy to run, started within minutes of mounting it on our 14' zodiac, and provides enough power to get 3 or 4 divers and gear to anyplace we would like to dive. Fuel consumption is as expected, thirsty, but after all it IS a 35hp motor! Your speed of shipping was great, and the tracking info allowed me to plan my trip to pick it up within what was a very hectic week. It arrived at the freight terminal well crated, and undamaged. After discarding the palet the motor in it's box easily fit in a Jeep Cherokee, and home it came. I admit, I was leary of purchasing bug ticket items on the internet.Although I have made contacts on the net, I have always done my buying face to face. Your professionalism and excellent references provided me with the comfort level I needed to make the transaction, and sleep at night as well. My local repair guy is very happy, he says although he will loose some repair business he has gained a happy customer, and that is what is most important to him. (you can see why I like dealing with him). He will still get the tuneup business and any referals I can send his way. Again, thank you for a great deal, a great MOTOR, and a stress free transaction. I got the motor yesterday 12-20 and Itook it out today . It started easy and ran great I'm really pleased . Thanks a lot for the motor , your description and photos were perfectly accurate . Great Service ,quick, easy, and smooth transaction, prompt shipping. Plan on recommending you to all my friends . 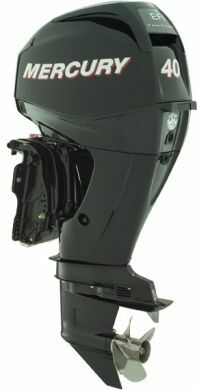 Received my 2004-25hp-elect start-20" shaft-fish camp mercury outboard, this week. it looks like new inside & out. hope to try it out next week. every thing arrived as promised. You have a great online site & if anyone wants a outboard i will always send them to you !! Motor arrived 24 hrs after I ordered it. This nice looking motor started on the first pull. What more could anyone ask? This motor hardly looked used. Im speechless and happy. God bless you Albert. We received the motor yesterday and it is just as you said. It works perfectly, we took it out on the river today. Thank you for your great service and I will be recommending you to anyone that wants to buy a motor. I was nervous about buying a motor sight unseen but you made it very easy. Thanks again! Recieved the motor last week. It has been installed and is working great. I am very pleased. Thank You. The 15 HP Mercury Fish Camp Program outboard arrived yesterday. My sons and I carted it home, unpacked and inspected the engine, and are astonished at its sterling condition. It is truly in "mint" condition just as you advertized, is certainly worth every dime of the price quoted, and shows virtually no signs of use or wear whatsoever. My thanks for your time and advice in purchasing this motor. We look forward to weekend fishing in the Barnett Reservoir with this 99% new small outboard behind us. Hi Al, I got a chance to take out the mercury 9.9 2002 fish camp motor last weekend. I am really impressed with the mint condition and the pep it has. It made the 14'jon-boat cruise at a pace that got me there to the fishing hole quick. I thank you and it was a pleasure doing business with you! I highly recommend A.F.A. "The motor is great. Performance on the water is great. It pushes a 14ft boat smoothly across the water. 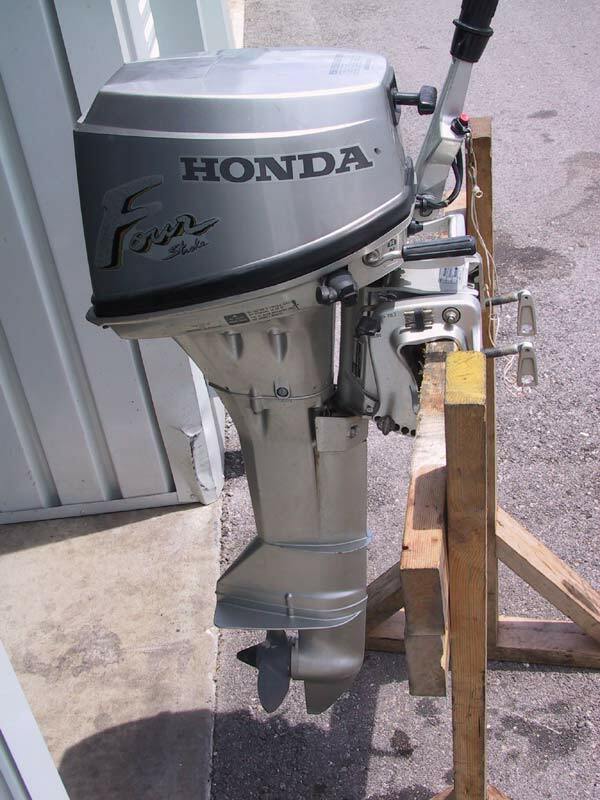 No flaws at all and I am very satisfied"
Just to say thank for your honesty and integrity on selling quality used outboards. What you listed on this motor is 100% accurate. It runs, idles, and started on the second pull. It sure saves me considerable over the price of a new one, when you are on a limited budget. GOOD SHOW!! I recomend yor services to anyone who wants quality at a reasonable price. Thanks. Got a chance to start that engine yesterday. Started on the second pull !The engine ran fine, with no hickups. I want to thank you for sending me such a great little Outboard! We took it down the Clinch River for a little Trout Fishing and Boy did it perform! For its first day out it did everything I wanted an outboard to do.WONDERFUL! The engine started on the first pull and ran excellent, just as you had told me it would. I want to thank you for your honesty and am very happy with my purchase. I would like to let everyone on your web site know that what you said of the engine was true and I am sending you a picture of the boat and motor on back. Thanks again for your honesty. Regards to our website and customer feedback regarding out desire to create an outboard motor cd-rom. I was very skeptical about buying a used outboard motor on the internet without actually being able to see it in person, hear it run, etc. After talking to you on the phone about the motor, I felt much better about buying from you. When the motor arrived, I instantly uncrated it. It looked better in person than it did on your webpage. I am very pleased with the motor and very glad that I found your website when I was looking for another motor. I would definitely recommend your company to others. definitely be happy for a long time with this one. Thanks again! I put the Gheenoe Classic on the river today with the 25 hp. It performed very well. Started easily, shifted perfectly, no problem any time. Power trim used to set balance. Speed maxed out at an almost even 30 mph GPS reading. I was pleased to see that the rpm maxed at 5950 with the stainless prop that had been tuned to around 5800 on previous 35 hp motors. I thought the redline was 6000 rpm on this motor (it was on a 1982 25 hp Johnson and also on my three previous 35's). I didn't check my spare prop , but I will although both props are identical and had been tuned on the same previous runs. After getting back this evening I looked at the specs in the service manual. Whoops! The redline on the 1990's motors is 5500. So the props are going into Mike's shop (Hall's Propellor) to add an inch of pitch and then go on another test run. I want that redline rpm controlled by the prop. Thanks for your help with it. Your company is a great one to work with, and the motor is exactly as you described it. My friends are starting to get into the whole boating scene, so I will definitely pass on your company info to them. Thanks again! Received it on Tuesday at lunchtime in perfect condition.Can't believe I got it that quickly.The bill of sale that was mailed first-class on the same day didn't get here until Wednesday.Can't wait for the ice to get off the lakes to begin the break-in for trout season. I'll be looking for a larger motor shortly and will continue to check your website. I will be talking with you again next Feb as I will be looking to upgrade to a 15-25HP at that time. Its been a pleasure doing business with you. The motor is awesome! I put it in a tank and she fired right up. I just bought a parts manual and changed the lower unit oil, thermostat and sparkplugs to be on the safe side. I took off the decals and replaced them with new ones from Cutting Edge Graphics. I'm going to run the motor on the boat this weekend. Thanks for everything, the motor was just as described! I recently purchased a 15hp Gamefisher from your website. I was very reluctant to buy an outboard sight unseen. After recieving the motor, I can tell you that its appearence was accurately portrayed on your site. Next I hooked it up to the hose in the back yard to see if it would start. The motor started on the second pull! This past weekend was the first chance I got to test it in the water, and I have to tell you I was impressed with it's performance. I would recommend friends to purchase from you, or would do so again myself if my attempts to convince my wife that I need a NEW motor are unsuccessful. A great motor for a great price. When I had the motor checked out locally, the mechanic said "Don't ever sell that motor, no matter how much someone may offer for it" . The motor is great. I'm up here at my place in Michigan and have been enjoying the motor immensely. It is incredibly strong. I was even able to pull a child on a tube! It starts easy and runs all day. I'm very happy with it. It's working great. I've taken it out almost every weekend since. It freakin hauls...Thanks. Great Motor! We have take it on the river and it brings us home safely. Thanks for all your help and flexibility in getting the engine to me. It works great. We'll be using you for all of our future engine needs. I especially appreciate your help in coordinating an overseas shipment. Good job! The motor arrived yesterday in excellent condition - thanks for the great packaging job. This is cruger's son talking, im the one who is using the motor. I got the motor today August 23 and it is in good condition and worked great. It is very quiet and starts up very easily. Betsy and I took the outboard out for its first extensive run. We were out about 1 hour and ran the motor continuously. It ran really well. Started with very few pulls of the cord. Gave the motor a cursory look-over yesterday. Actually looked better in real life than it did in the pictures! :-) I'm quite pleased with the motor so far, and can't wait to get the rig out on the water for a test. :-) Thanks again! I just wanted to tell you I got my motor a week ago today ! After I got it out of its very well built box, I put it up on the stand primed it 3 times and she fired right up! Everybody said it looked brand new and then wanted to know much I paid for it. Everyone agreed it was great deal. I put it on the boat this weekend and she ran great. Thanks for a great motor and great service. Just wanted to let you know that the beautiful motor is now imported into Mexico and loving it! Customs loved us too. AFA MARINE, THE 15HP JOHNSON RUNS GREAT!!! HAVE TAKEN IT OUT FISHING 4 OR 5 TIMES ALREADY. THANKS. I pick up the outboard on Monday at 10:10am in Petaluma , CA. It was in excellent shape. We put it on the back of my dad's boat, put oil in the motor, checked the lower unit for oil, hooked the gas tank to it, primed it with primer bulb, and it started in three pulls . P S boy is my dad happy. AFA Marine- just a note about the motor. I have had it out twice so far and it runs great! Starts on the first pull and trolls right down very well. Seems like its going to work out just fine. I got the 8 hp Yachtwin Evindrude motor. Wanted to let you know that I registered it in Texas, no problem. than that it runs great. Thanks for getting me a great motor. Put it on my Gheenoe classic it runs great. I would recommend your company to anyone looking for a good used outboard. I took the boat and motor out to the lake today and tried out that 15 hp Johnson. Wow does that motor have some speed. I really am pleased with the deal we made. I want to thank you for keeping in touch while the motors were in route to there new places. You were up front with everything. Thank You for a great deal. I just wanted to let you know I took the Johnson 20 out on the lake today. I never thought a motor could match up with a boat so perfectly. It fully planes my boat and runs awsome. All I can say is thanx. Thanx for the great motor, and thanx for the great customer service. I will definitely be doing business with you in the future and spreading the word around. I received the motor....everything looks good.....I'll get it in the water and check it out. You have been fantastic.....thanks again. electric only lake here in Mission Viejo. My name is Sam Krensis, and I recently purchased one of your Fish Camp 40 HP outboards. I just wanted to say how very happy I am with the transaction and most importantly, the motor. The motor fired up right away, and runs strong, and best of all looks like brand new, just like you said! The entire experience with purchasing the motor met and exceeded ALL of my expectations! I also wanted to mention that I feel that your web site is a very good guide to use when searching for a motor. I even learned a few new things that I dident know, and I have been boating for over 26 years. Finally I would like to say Thank You, and If I ever need another motor or have a freind or relative needing a motor I know that I can tell them confidently to check out AFA marine! I recieved for shopping at A.F.A. Marine, I would recomend you to everyone! This motor is awesome. Started 2nd pull, and after that every 1st pull. for a 15HP motor. Thanks! Picked up a "fish camp" 2004- 25HP ML Mercury Outboard from AFA Marine on Dec. 20, 2005 Checked it out completely on Christmas day '05 in my back yard ( Florida's Banana River). It fulfilled my expectations in both performance and appearance. I'd like to join the list of AFA Marine testimonials and kudos to Albert on a well organized website. I received the Owners Manual for my 3.3 hp Mercury Fish Camp O.B., and wanted to thank you for that, and also for the prompt correction of the billing on my Master Card. You folks have been very nice to deal with and I will certainly spread the word around about A.F.A. Marine. Motor runs great. Thanks again. Thank you for the motor. You did everything you said you would do. I am river runner now. Albert, I got the fitting I needed to run the 20hp mercury I recently purchased from you. I hooked it up to the water hose, and fired her off on the second pull. This motor is in almost unbelieveable condition for a 1980 model. Very good exterior paint, clean inside,perfect compression, idles smooth, good water pump,starts easy. I don't know what more I could ask for in a quality used motor. Shipping was very fast. Your description of this motor was 100% correct, and I have found you to be very helpful, and willing to answer my questions. I will be watching your site for future postings, as I intend to purchase another in the future. I strongly recommend your company to anyone that needs a good used motor at a very good price. This purchase has taken away any fear of purchasing from you on the internet. Your honesty, is a breath of fresh air, keep up the good work!! I want to thank you for the expedient delivery of my “Fish Camp” motor I purchased in late August this year. Not only does the motor look and run as new, the motor was delivered in less then one week. The motor is a great fit to my boat and will see many years of continued service. Thank you for your superior customer service. I will be sure to let my friends and family know about www.smalloutboards.com. Thanks for the fast delivery of my “fish Camp” motor. It arrived sooner than I expected and very well packed. This motor looks and runs excellent! This 9.9 hp (converted to 15hp) fired up strong on the 2nd pull. 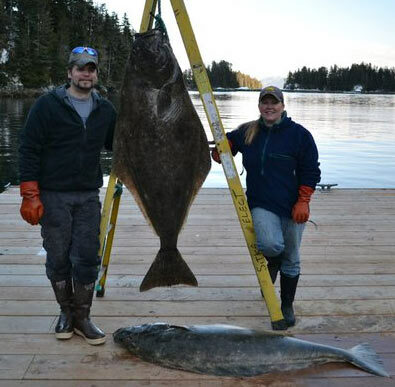 I took my 2 oldest kids fishing twice in the first week when it arrived! This was in October and I needed to take a “personal day” from work. I looked for a used motor for 2 months (too long!) in magazines and on-line auctions, but I wanted a motor that won’t give me trouble for many years to come. This is the one. We have a bunch of fishing trips planned for next spring. We’re so happy with this engine! The Antique 10 HP Johnson arrived today and it is just as you described. I am very pleased with the service and the way you do business. I would recommend your company to anyone interested buying a used outboard motor. Thanks again for the prompt service and good trade in on the other motor. The 9.9 /15hp runs great .Great deal! I bought a short shaft 2003 2 stroke Mercury 9.9 from you guys last winter. 7 days. The freight guys loaded it into my car in its original box. stern for the mounting bolts. Everything works great! Thanks for everything. New 3hp Briggs & Stratton Electric Outboard + extension kit. I hope you can attach my testimonal to your website. I have never been as satisfied with service as with AFA Marine, no call went unreturned, no question unanswered. I bought a used 8 HP Johnson and in addition to getting a great price, the service was far better than I would have received had I purchased a new motor. Many thanks, look forward to doing business again. I would refer anyone looking for an outboard to your site! I read your article about 2 stroke and 4 stroke engines and I looked at the diagram that shows me rather I need a long shaft or short shaft, it taught me things I never new, I have been around boats a lot but never new that, the boats always belonged to someone else. Now when I get around them again I can talk right along with them and know what I am talking about, I want have to stand back and just listen like an embasel. today I am a little smarter thanks to the information you provided. Again I thank you very much. My wife and I have recently got us a boat, but now we need a motor, it is a 12 foot aluminum weld build and about 5 foot wide. I will be ready to buy a motor in about 3 months, hopefully less. I will keep ckecking your ads and I am thinking maybe buying one from you, I will still have to keep checking around, since I do have plenty of time. I thank you again. Hi Albert - just a quick note to let you know that the 8hp Merc 4-stroke runs like a champ! It was a pleasure doing business with you. When I found your website, and the engine we bought from you, I knew I had found exactly what we wanted, and at the right price. I must admit it was a little scary doing business over the internet, but I have to say it was a very good experience. Every single step of the way, you did exactly what you said you would do, at exactly the price you said you would honor, and so promptly I was amazed. Shipment of the engine on your suggested carrier was fast, inexpensive, totally trackable and no damage was incurred. If any prospective customer wants to talk personally with a former customer before buying from you, please give them my name, email address and phone number and I will tell them the details of my experience with you which was totally satisfactory. If I ever need another small outboard, I know where Ill go first. Ive been telling my friends about you, hopefully that will produce some additional business for you. 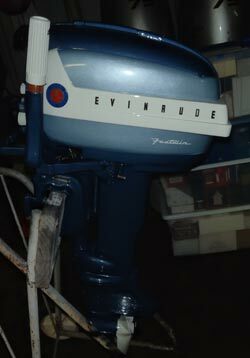 We are very pleased with this 1957 Evinrude 35 horsepower outboard. My son and I went to Lake Pueblo in Colorado and the engine instantly started, warmed up nicely, and we spent the next 4 hours cruising all up and down the lake. We would certainly recommend AFA Marine Inc. to any future customers ! We race 1200 Sprint Cars and we know how to build very reliable engines. You and your family should be very proud of this family business. Please use this endorsement on your web page. the above motor that I purchased works well. It starts better than my Honda 40, that my son burnt up. I want to tell you I'm pleased with the Mariner 9.9 longshaft outboard I recently purchased from you. A couple of people wondered if I got too small of an engine for my new Lund WC 14 boat which weighs almost three hundred pounds. The Mariner 9.9 easily gets this boat up on plane and moves it at a good pace! I'm like a kid with a new toy! Albert, I just wanna thank you for the 40 hp tohatsu. I received it today from the shipping company and it was packaged quite nicely. The motor was exactly what you had described. I was nervous to buy an item like this over the Internet but now when I buy another motor I will not hesitate to buy from you. I put it on my boat and went out on the water all day. Awesome! I recently purchased a 6 hp johnson circa late 70's from your site. Starts on the first pull everytime, I have never had a small outboard run so smoothly and so efficiently. I am recommending your site to everyone I know. Thank you for all your help and the perfect 1957 Evinrude 5.5 Fisherman. It is perfect and it runs perfect. I really appreciate your honesty and integrity, that is a rare quality these days. I really enjoyed dealing with you and I will be back for another one soon. 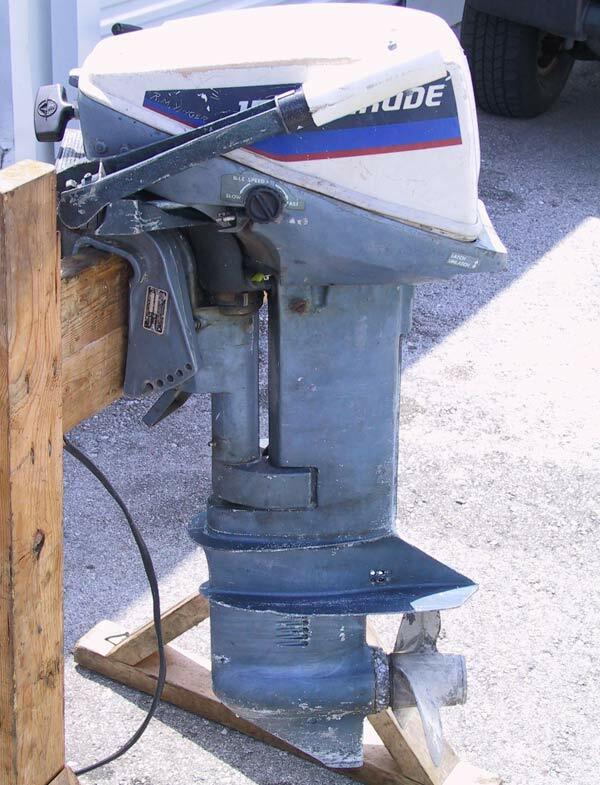 Anyone considering a restored outboard could not make a better choice than A.F.A Marine. Thanks again Albert, I will talk to you again soon. I had been searching for a 1956 Johnson Sea Horse for years and finally found a great looking one at AFA Marine Inc. The transaction went very smoothly and the motor arrived as promised and WOW it looked even better in real life than the picture. Perfect shape - a great motor!!! I couldn't be more pleased. We received the motor on time from Old Dominion and provided the 25 h.p. Mercury to our son for graduation. It was a big hit. He is currently on a fishing trip with his friends in the Northwoods. The motor starts 'first pull' every time and has all the power we had hoped for. He tells us it is very fuel efficient. Thanks for expediting the order for us. We will be recommending you to our friends/family who may be in the market for a new motor in the future. The price and service you provided were superior. Many thanks for your efforts on our behalf. I received the motor Friday and ran it up and down the river today. I stopped it several times and it started on the first pull. Thanks. I will recommend you to anybody needing a motor. Hey Albert, I just wanted to take the time to thank you for all your help and effort in this whole process. The engine got here in great shape and runs like a champ. I am very satisfied with my purchase and I would recommended your website to anyone looking for a used outboard at a good price. I just wanted to let you know that I received my 2005 Mercury 4 hp 4 stroke the day after you shipped it. It starts easily and runs strong and I am happy with my purchase. I just wanted to let you know how pleased I am with the purchase of this motor from you. It is just as you advertised. It fit easily in place of my old Johnson and after lubricating the lower unit and replacing the prop, I took it out this morning. The motor started immediately and ran smoothly at idle. The motor has plenty of power as I easily reached 5400 rpm on plane. I believe that this motor will last me for the remainder of my fishing life with no problems since the parts from my 1990 Johnson will interchange. Thank you for a good transaction and for being an honest businessman. We ship throughout North America and Beyond!.